In a single operation that takes less than a minute it can weld four squares. It’s also capable of welding two corner/transom/corner windows or one window and two sashes in a single operation. 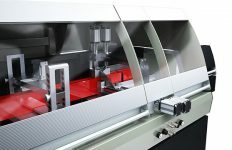 It can weld five H welds in less than four minutes and change from corners to transoms in seconds, claims Haffner Murat. As well as delivering exceptional speed, the SMR-5 also revolutionises quality. 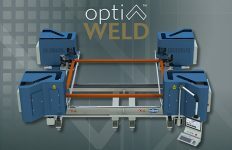 It guarantees 90 degree welding every time thanks to automatic head positioning and self centering for transoms, ensuring accuracy and eliminating remakes. 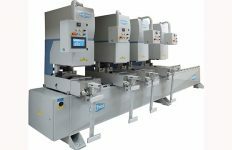 Like all Haffner Murat machines the SMR-5 has been designed to be easy-to-use. 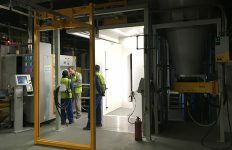 It has touch screen control with memory positioning and all operations can be controlled automatically via the PLC. 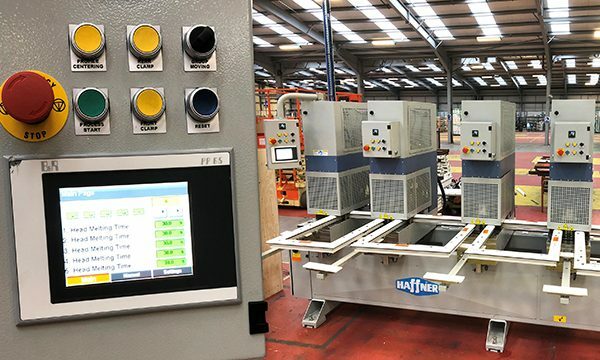 Plus to ensure the machine can start to add value from day one, expert installation and full training is provided as standard as part of the Haffner Murat service.